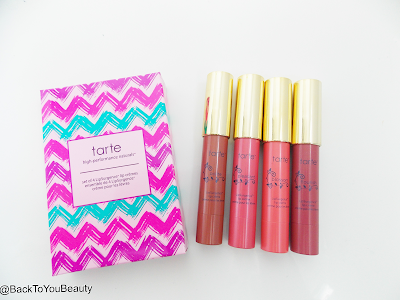 I am very lucky in that I get to feature so many beautiful Tarte products on my blog for all you Tartlettes out there. Today I am sharing 3 more new launches with you that officially launch this weekend 23rdApril, however you can click on the link to purchase now as they never stick around for long! 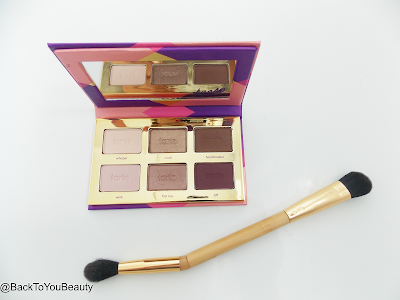 Tartlette Tease Eyeshadow palette with double-ended brush – This beautiful palette is not even available on the Tarte website at the moment so we are very lucky to be getting this in the UK. This 6 shade palette is perfect to pop in your pocket or handbag and features 6 brand new Matte and shimmer shades that you can use to easily see you through the day into the night. I love how they have matched the shades up across the two rows so its never been easier to choose your base, transition and crease shades. 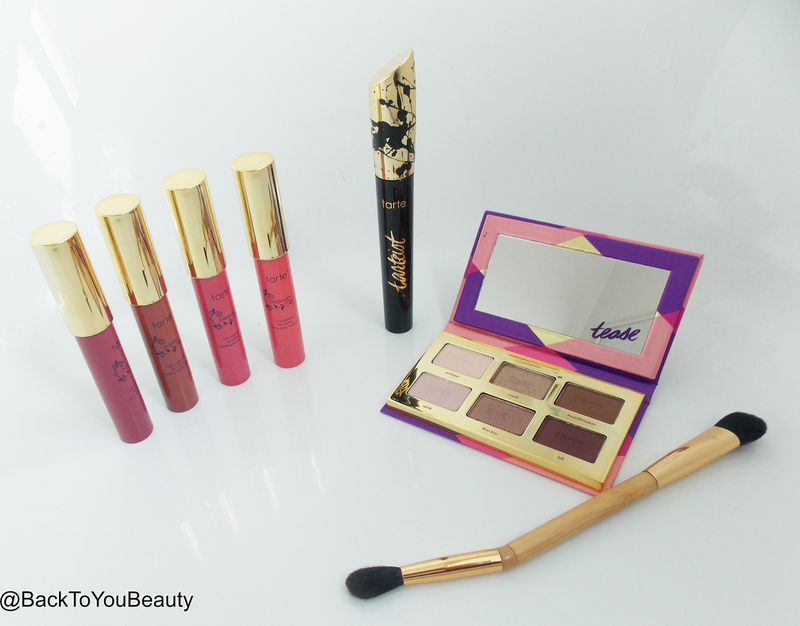 Made from the Amazonian clay that Tarte have become well know for using ( more HERE) and mineral pigments, these soft shades are easy to apply, blend and wear and will definitely suit all skin tones as you can build and build to your desire. I love the size of the mirror in the lid which is great if you are on the go and the great bright design to the packaging. As with lots of Tarte products you do also get a chocolate smell when you open the palette, which, when I first started using Tarte products I wasn’t keen on, but now I have come to know and love the scent. This palette also comes with one of my favourite style brushes and that is the “Rule bender” double ended brush which is angled to fit perfectly around the contours of the eye. 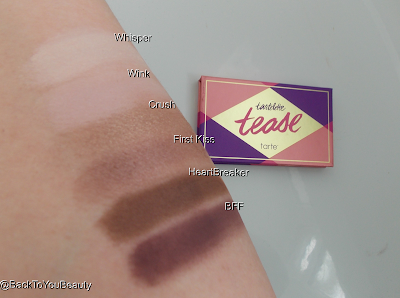 The only difference I have noticed with this palette is the shades seem very soft, Will some fall down on application so please shake your brush off a little before applying the colours to your eyes. If using the darker shades, consider applying your under eye concealer after for a cleaner look. Tarteist Lash Paint Mascara – Tarte really do some great mascara’s, I just love how they do the blackest black and always go that bit extra on volume. 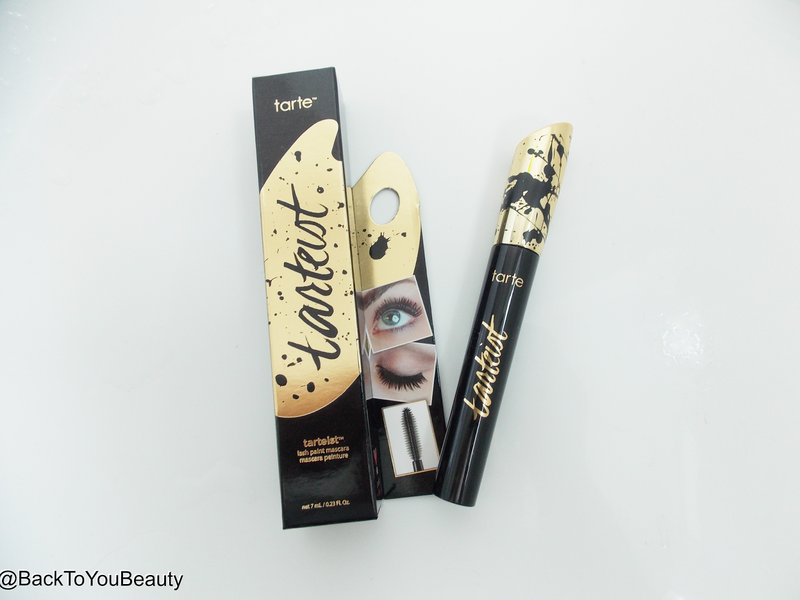 I know it can be difficult choosing a mascara as there are so many fabulous ones out there now across various brands. I would just say if you have a favourite brand, trust in them and if they get the mascara right, you can be pretty sure everything else is just as great too! Containing triple-black painted mineral pigments this really will offer that deep, dark black, that I know I love whilst also nourishing and softening the lashes. 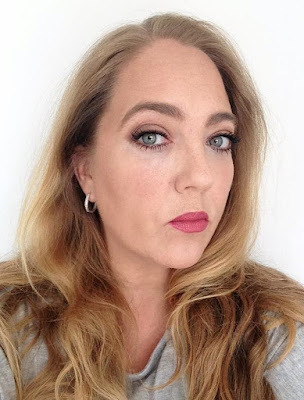 The products states that it aims to increase lash volume by 2700% and all I can say is it does make my lashes look incredibly long, thick and healthy. 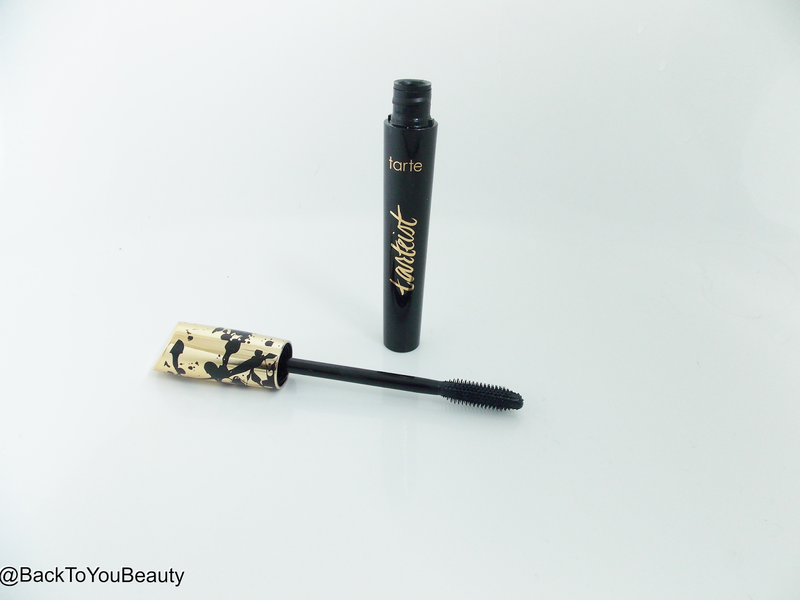 The brush on the wand is a fantastic size too, its really flexible and is able to grab even the tiniest lash and coat it all round with pigment. I had no drying fall out from this mascara and it lasted beautifully all day and did not irritate my sensitive eyes. Ophthalmologist tested and suitable for contact lenses wearers. Tarte Lipsurgence Lip Crème Quad – A gorgeous collection of 4 long lasting, ultra hydrating, lip smoothing Lipsurgence lipsticks. 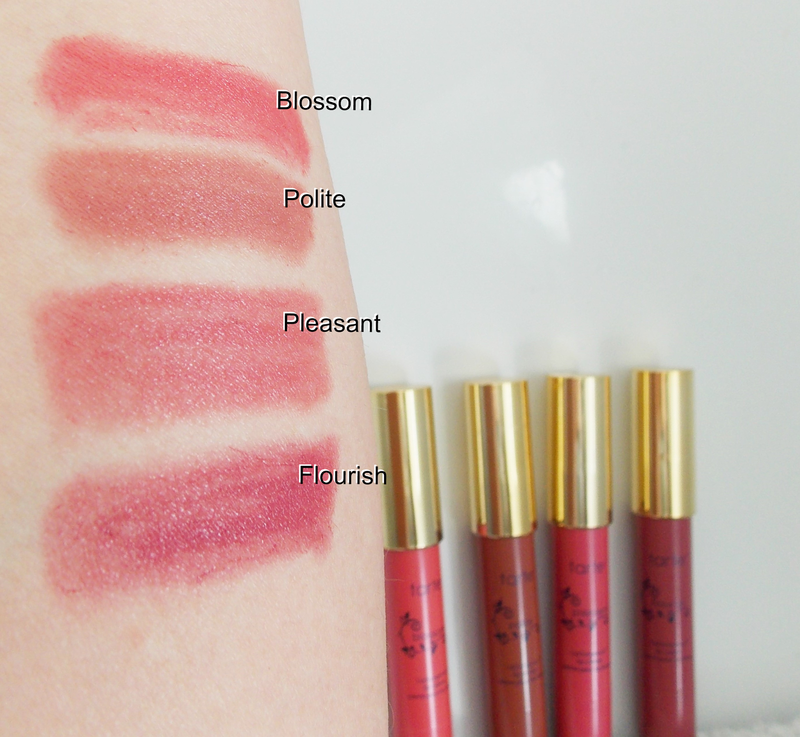 Containing four beautiful, bold spring/summer colours that have that perfect point on top to out line the lips and then fill in, these really are a lovely collection. They do have a slight minty hint, but it really is not overpowering at all. 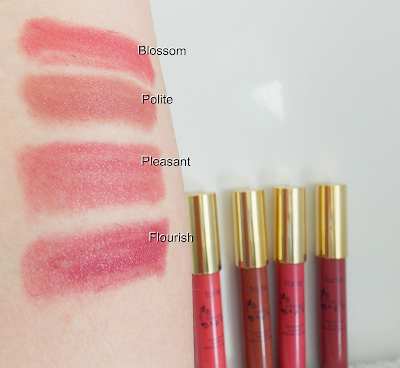 The lipsurgence glide easily over the lips without any pulling or tugging and are really long lasting. They have a cooling effect at first thanks to the mint and feel really nice on. Lovely colours which can be easily mixed and matched to create your own colour. They also act as a great cream blush too! Suitable for all skin tones as they are lovely and bold. A perfect collection of brand new items that combine together so effortlessy and can create any look that can easily take you from day to evening. "Gatineau April Qvc Tsv Featuring New Product Launch! Glowing, Healthy Looking Skin!"